The Tikkun Olam Chavurah is a Philadelphia-based spiritual and political community grounded in Jewish values. Working in the pursuit of tzedek (justice) and tikkun olam (repair of the world), we focus on interfaith work to support social justice in the Philadelphia area and in Israel/Palestine. 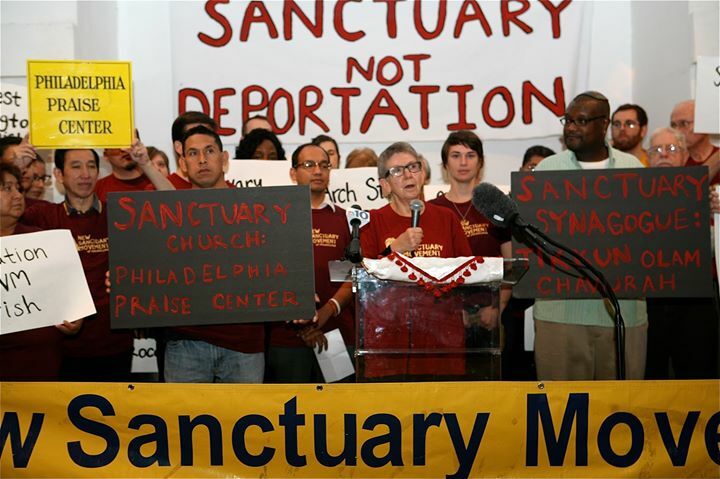 Our work includes supporting immigrant rights and environmental justice, preventing gun violence, resisting the assault on public education, and promoting economic justice in the Philadelphia region. We also work to support peace with justice in Israel/Palestine. We are building a community with Rabbi Linda Holtzman committed to radical inclusion that supports one another's paths in seeking justice. We gather to study, pray, and celebrate holidays as well as take action for social change. Prefer to be with your friends on Facebook? We're there too. Sign up and we'll tell you about upcoming events ( * indicates required). Your tax-deductible contributions support our programming and work for social justice. On January 14, 2018 at a regular monthly meeting, Rabbi Linda Holtzman and the Steering Committee unanimously passed a resolution become an HP Free Zone in support of the global Boycott Divestment Sanctions (BDS) campaign targeting Hewlett Packard for their complicity in profiting from abuse of Palestinian human rights by Israel. This decision is based on our principle to uphold human rights and international law for Palestinians. Chavurah participants can support this campaign by boycotting HP products in their offices, homes, and other spaces. Further, the Chavurah recommends that people and businesses currently using HP products purchase non-HP replacements and refrain from purchasing HP replacement cartridges for printers, choosing instead a generic brand.